as well as a network of supply partners throughout China, USA and Europe. and we think that's really important because we can ramp up production really quickly when we need to. day to day in the business, reducing red tape and the lead times on decisions. wherever possible, to ensure quality, consistency and efficiency. Fero is a leading wiring solutions and assembly provider to businesses throughout the world. 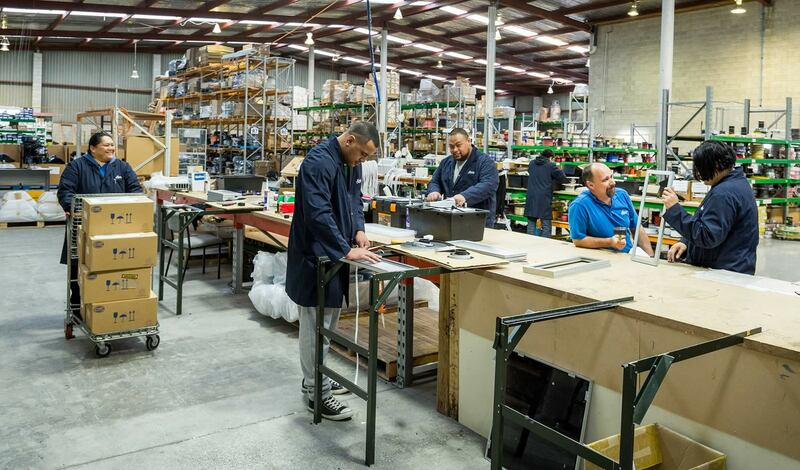 We deliver exceptional assembly and wiring solutions from our factories in New Zealand and Samoa. We focus on delivering world-class wiring solutions and high quality assembly. Our team continually strive for automation, process improvement and design thinking. We commit to delivering the highest quality solutions to those companies we choose to partner with. We’re successful because we ensure that the following cornerstones lie at the core of all we do. We design and create innovative solutions for our clients using wire technology and by focusing on manufacturing automation and process improvement. We bring a broad range of experience to all our solutions, having worked across several industry sectors. We love to share and use our knowledge in order to create change refine processes and deliver new product development. We understand manufacturing and the need to be adaptive and flexible at all times. We strive to always make it easy to do business with us and we ensure that we always maintain the production capacity to be adaptive when required. High quality and reliability are crucial to the hi tech manufacturing process. Our customers rely on us and that’s why we’re consistent in all we do, delivering on-time and to budget. We work together as a team to deliver our solutions, collaborating with all key stakeholders to ensure success and valuing long term customer relationships over and above short term profitability. 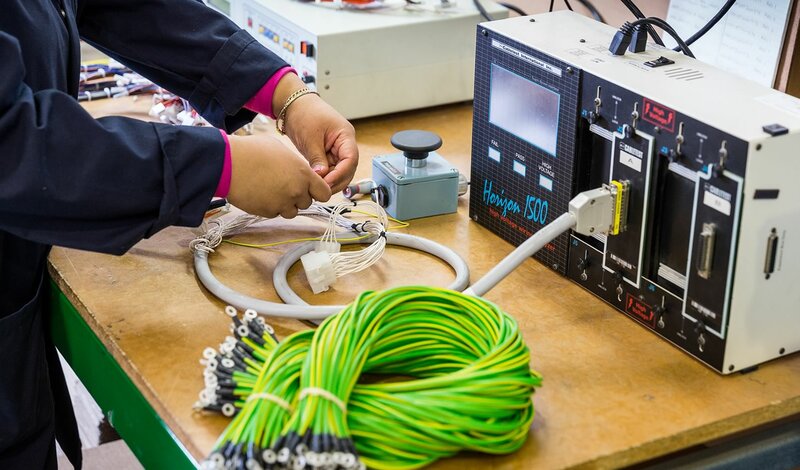 Fero sits at the forefront of wire technology providing custom cabling and wire sets to our customers. These ensure not only greater assembly efficiencies but also lower stock holdings and lower minimum order quantities for these clients. Fero produces short and long runs of harnesses that vary from simple to very complex solutions, but all developed to suit the unique needs of our customers. Fero is the only company of it's kind in New Zealand to have invested in manufacturing robotics in order to provide more automation and manufacturing consistency to those clients that need this approach. 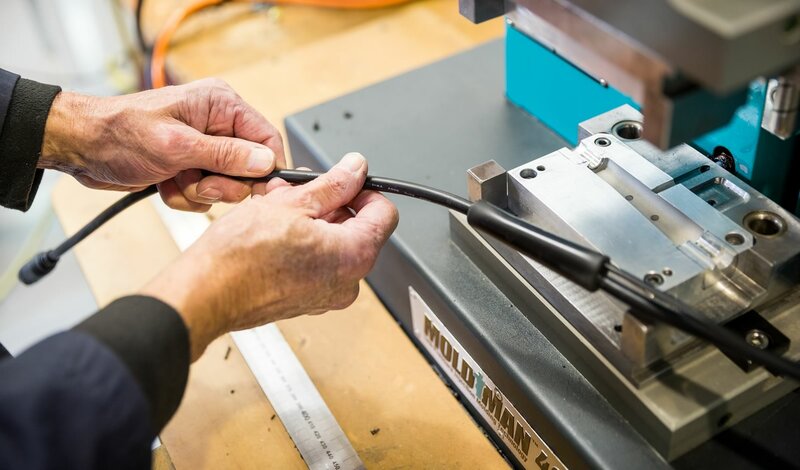 Automating our manufacturing process lies at the heart of the company and we're able to provide solutions and consultancy services to those businesses and clients that require it. 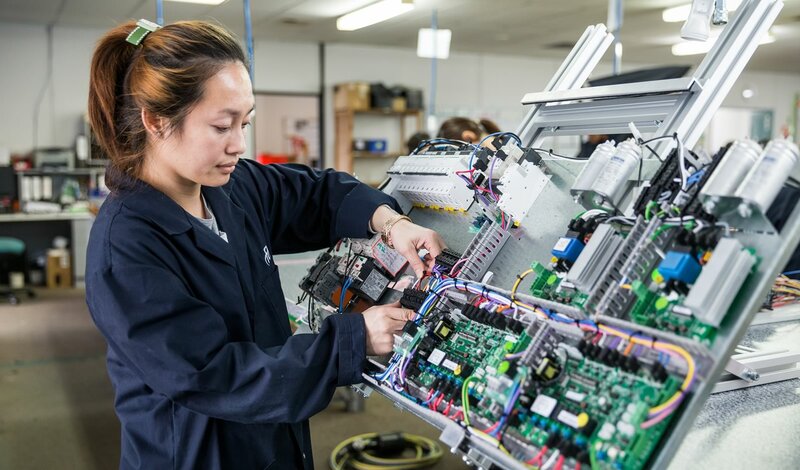 From our factories in New Zealand and Samoa Fero provides assembly and sub assembly services for a broad range of industries but with a special focus on the Automotive sector. We understand the commercialisation process and can grow our assembly and manufacturing capabilities as volumes increase. We have the key skills to provide Design for Manufacture (DFM), assembly advice, source parts and drive manufacturing efficiency. Fero works with companies around the world to help monitor air quality, water levels and even to tell you when a tsunami is coming or your house is on fire. If you’re visiting a new born in hospital or need help to stop snoring, Fero products even help to keep your blood at the right temperature. We find our service levels also stop clients’ blood from boiling over! We are playing our part in helping to illuminate the Coke Swirl, one of the biggest brands in the world. You will see Fero’s work many times a day, if you know what you’re looking for! From power factoring to soft starting, we ‘re supplying some pretty big players in the world market. If you are using a cell phone today you can be safe in the knowledge that Fero’s looms helped to ensure that the manufacture of that product was to the highest quality. One of Fero’s largest areas of expertise is in lighting. From power to control, LED to lamps we have been working with New Zealand and Australia’s major lighting manufacturers for over a decade, proving not only our expertise but also our service. Sky TV is one of Fero’s longest standing customers and together we have developed a number of products that keep the news, sport, movies and your favourite drama beaming into your home. Covering a broad range of products this is the bread and butter of our operation. Fero harnesses are in everything from commercial kitchens cooking your favourite fast food, to the gas fires that heat your home. The airconditioning on your office building and the airport baggage handling system you may use on your holiday all use Fero products and assemblies. With a strong background in agriculture, Fero is a key supplier to all the major agricultural manufacturers in the country. From RFID, weigh scales and energizers through to milking sheds, frost protection and haymaking, we have it covered and much more. We have suppliers who stock a wide range of MilSpec materials. We have a number of military customers in Australasia who we’re supplying with everything from overmolded products to custom looms. Fero looms are powering ferries, military craft and personal craft worldwide. We are also providing the connectivity for the navigation lights to ensure that these craft get to where they are going safely, an important role no-one can afford to get wrong. From truck lights to trailer looms, buses to emergency vehicles you will see Fero looms in many automotive applications. The automotive industry is highly compliance driven, with high quality requirements and tight tolerances. From supplying OEM components to compliant looms, we do the lot. With a team of 150 employees across both plants in NZ and Samoa, Fero is dedicated to delivering DIFOTIS to each and every one of our clients. We maintain capacity in our production schedules to ensure flexibility for our clients. We create efficiencies where we can to reduce manufacturing and assembly bottlenecks. FERO employs a large team of engineers, highly skilled and with a broad range of experience, who bring these skills to all our customers, delivering efficiencies, creative thinking and alternative solutions where needed. Fero has always been a service driven business. Adaptability sits at our very core and differentiates us from our competitors. We react quickly to Engineering Change Notices, understanding that you need us to be adaptable to your changing needs. At Fero, we are large enough to deliver yet small enough to care. Fero provides quality solutions for it’s clients. We draw on our huge breadth of experience to find the right solutions. We constantly invest in new machinery and plant, within a process of Continual Improvement, so we can deliver consistency and efficiency. We focus on QA and ensure it runs through all our processes, our staff stay with us for many years, we understand that their experience and reliability is the key to your success. FERO prides itself on delivering cost efficiencies to all its clients through optimising processes, improved supply chain management, removal of hidden costs and cost downs where achievable. We understand and lead on worldwide compliances required in the technology manufacturing sector. If you have a requirement we have a solution. With over 150 staff we’re big enough to deliver yet still small enough to care – and we think that’s really important, because it means we can ramp up production quickly and are capable of different offerings such as assembly and production. Staying flexible and being adaptive to your unique needs is how we’ve stayed successful and why many of our clients stay with us for years.Our key decision makers are working day to day in the business, reducing red tape and the lead times on decisions. We constantly review, adapt and improve our process efficiencies to ensure we’re giving our clients the very best service and the most efficient solutions we can. We invest in automation machinery wherever possible, to ensure quality, consistency and efficiency.